Combermere Abbey, one of the North’s leading and most exclusive wedding and events venues, is delighted to announce a new partnership with award-winning event caterers, Olive Tree Catering. 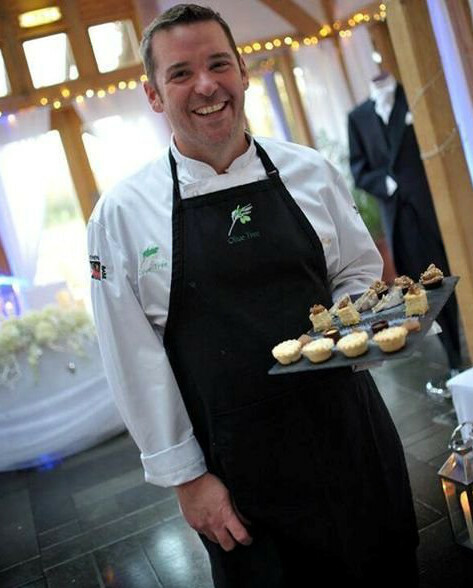 Olive Tree is a dynamic and forward thinking events catering company, recently awarded 2013 North West Wedding Caterer of the Year, as well as being a regional finalist at The Wedding Industry Awards 2013 Headed up by two professional Chefs, John Trelfa and Daniel Burke, with collectively over 40 years experience, the company is already at the heart of the Cheshire social scene. They hold contracts at Peover Golf Club, Cheshire Polo Ground and the Abbeywood Estate, as well as undertaking individual commissions in many clients’ own homes. They also own an award-winning restaurant, Shared Olive in Hawarden. Olive Tree will join Pickled Walnut and Gorilla Events in an experienced and professional line-up of food and beverage specialists, supporting the growing wedding and events business at Combermere Abbey. Olive Tree offer fashionable foodie menus as well as good-old British favourites. Formal dining can be the order of the day and they excel at a less formal, fun approach to dining such as a BBQ menu and the recent addition of a ‘Wedding Breakfast Tapas’, bringing a convivial approach Mediterranean flavour to locally-sourced goodies. Above all they offer extremely good, personalised service to their clients. Combermere Abbey is a most magical venue, it constantly delights, transforms with each season and each wedding here enjoys exclusive use. Facilities for up to 150 guests, include The Glasshouse in the centre of the Walled Gardens, with 180˚views over the Fruit Tree Maze, the Walled Garden Pavilion and the new Maze Pagoda. Combermere Abbey is located between Nantwich and Whitchurch, on the Cheshire/Shropshire border.